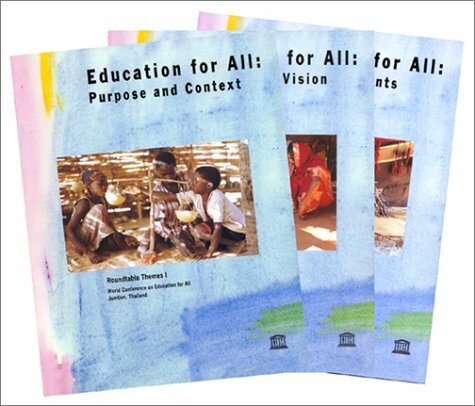 Education for All : the requirements / prepared by Douglas M. Windham. 00^aEducation for All :^bthe requirements /^cprepared by Douglas M. Windham. ^axiii, 93 p. ;^c28 cm. ^a"Based on materials available from the round tables organized during the World Conference on Education for All: Meeting Basic Learning Needs, held at Jomtien, Thailand, 5-9 March 1990"--Preface.